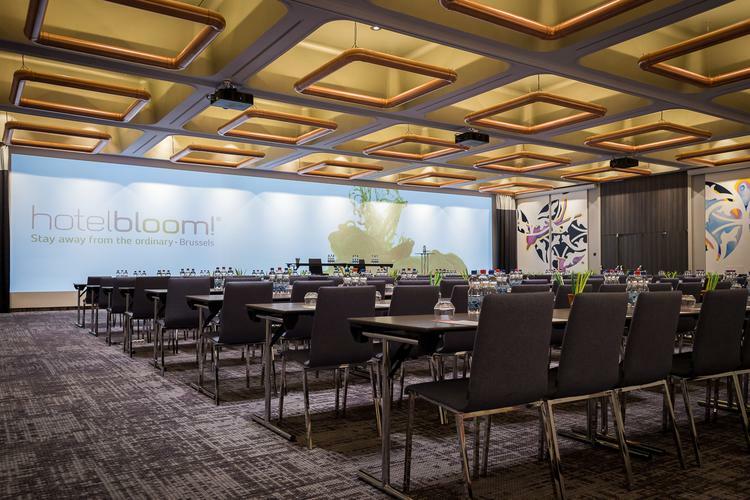 Reference: An experience floor for Hotel BLOOM! Do you like surprises, intrigue and incentive? 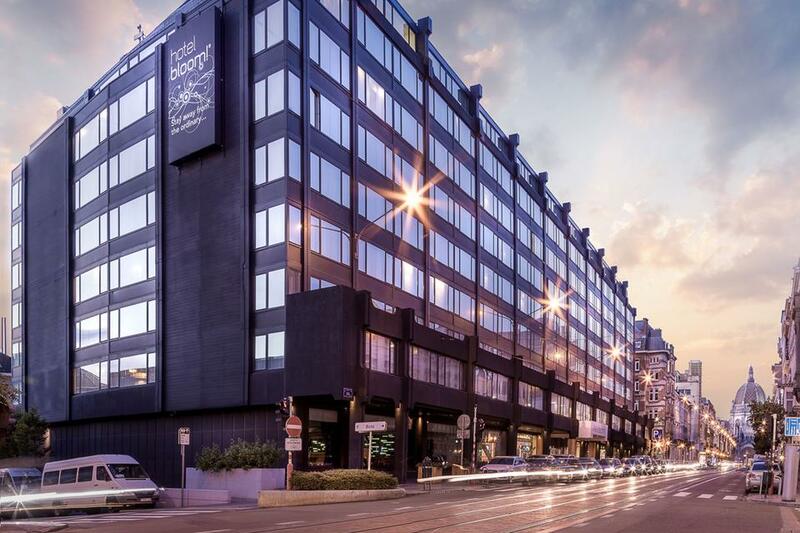 Hotel BLOOM!, located in the heart of Brussels, has it all. The hotel is a trendy oasis of light and space. There are 305 rooms and suites of all sizes, from L to XXL. Each room is decorated with a fresco painted by a young artist from a European art school. Restaurant OO! offers you a super healthy breakfast in a stimulating setting. The perfect way to start the day actively, energetically and enthusiastically. 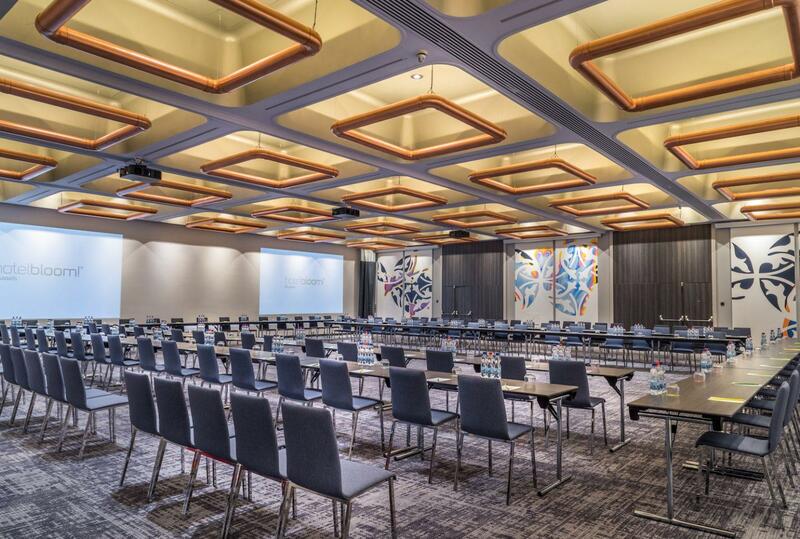 Extensive meeting concepts are also offered, from compact rooms to a real experience floor. BIS was asked for the renovation of these rooms. Make sure to take a look at Dare to explore for extensive photos and floor plans or to just book a room! The most spectacular part of this project is the projection using edge blending technology. We generate an image of 11 metres wide by 2.6 metres high. We use 3 connected Hitachi CP WU9410 projectors, which reach 8000 of Ansi Lumen thanks to the phosphorus laser. Also, a custom set of lenses was required for this exotic setup. In this way we create a seamless full screen effect. The Vuwall platform takes care of the control of this impressive whole. It forms the beating heart and brings together both digital signage and wireless presentation. Through a simple button, pre-sets are loaded in which, together the client, multiple scenarios are mapped out. The combination of a PowerPoint in Dutch on the left, a PowerPoint in French on the right and digital signage in the middle is also possible. The buttons can also be used to trigger atmospheric images and movies that are located in a drop folder on the network. In the meantime, the signage displays in the lobby are also used to keep guests informed about the activities in the hotel and beyond. The boardrooms themselves are all equipped with the Barco Clickshare technology. All audio-visual solutions realised by BIS are now fully and satisfactorily in use. We wish Hotel Bloom! many nice meetings in this stunning experience floor. Would you also like to innovate with technologically smart audio-visual solutions? Please call BIS on +31(0)180 - 486 777 or please contact us through the contact options on the right.